Habanero and cayenne peppers belong to a class of peppers called chili peppers. The habanero pepper is one of the hottest of the chili peppers, while the cayenne pepper has a milder flavor. Peppers are high in vitamin C, an antioxidant. 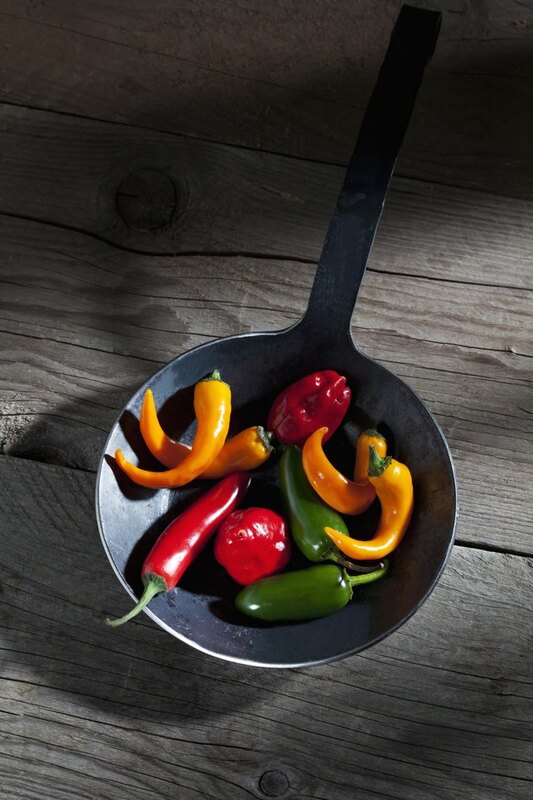 Peppers also contain capsaicin, the active ingredient used for medicinal purposes. Most capsaicin sold commercially comes from cayenne pepper. In addition to its over-the-counter and prescription medicine uses in capsule and topical form, capsaicin is also used in pepper spray. Talk with your doctor before using capsaicin. Capsaicin is used mostly as a topical treatment for neuralgia, pain that comes from the nerves that lie close to the skin's surface. Shingles often causes neuralgia. A study conducted by the University of Wisconsin-Madison and reported in the April 2010 issue of "Pain Medicine" found that a high-dose dermal patch containing capsaicin decreased postherpetic neuralgia over a 12-week study period by 33.8 percent, while control subjects reported an increase of 4.4 percent in their pain levels. Capsaicin may also relieve mild muscle pain as well as pain from some types of arthritis. Capsaicin works by depleting Substance P, a neurotransmitter that transports pain signals to the brain. When first applied, capsaicin stimulates Substance P, causing a burning sensation, but continued applications deplete the supply, reducing the pain sensation. Capsaicin can cause a number of skin side effects. If used as a topical treatment, burning, redness and stinging can occur at the site. This reaction can last up to two to four weeks. Reducing the dose you use will not make the burning sensation go away and may actually make pain worse. Follow your doctor's instructions on when and how to apply the medication. Capsaicin can make your skin more sensitive to heat; use sunscreen and avoid direct sunlight or tanning beds. Skin dryness, itching or swelling can also occur. A rash or hives may also appear at the site. Capsaicin can cause a number of potentially serious side effects and should not be used without your doctor's approval. More serious effects include a rise in blood pressure, shortness of breath, difficulty breathing, cough, blurred vision, headache, dizziness, fluid retention or a change in heart rate. These side effects can occur with topical application as well as with oral capsules. Report significant side effects to your doctor immediately. What Are the Benefits of Calendula Cream?